Before a major lightning storm, stock your emergency kit and make sure your family or your work staff is aware of any safety actions that need to happen in case of an emergency. Unplug all electronic equipment and connect important appliances to a surge protector to prevent damage to your appliances or other electronic equipment. If possible, walk around your property and inspect any trees that could be rotting or dead. A weak tree that is exposed to too much lightning or strong winds can severely damage your home or property. We recommend contacting a licensed electrician or home inspector to review your home for any lightning hazards. 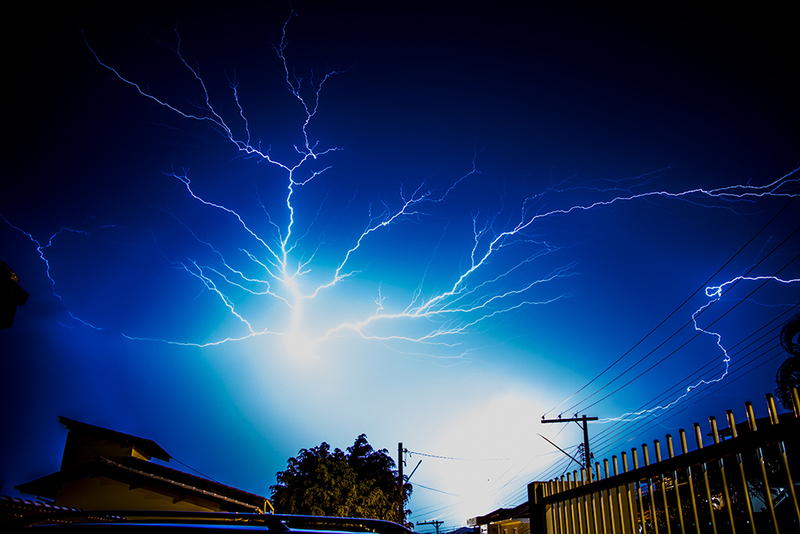 DKI Services’ disaster team can inspect your lightning protection system and help minimize storm damage repair costs for your home or business after a major storm. Lightning storms can be unpredictable, but DKI Services is always ready to provide a fast-responding, quick tree removal service or storm damage repair for homes/businesses immediately after a disaster. Contact us at (888) 502-4795 for 24-hour storm emergency services.